Liquid Wite-Out is so '90s! 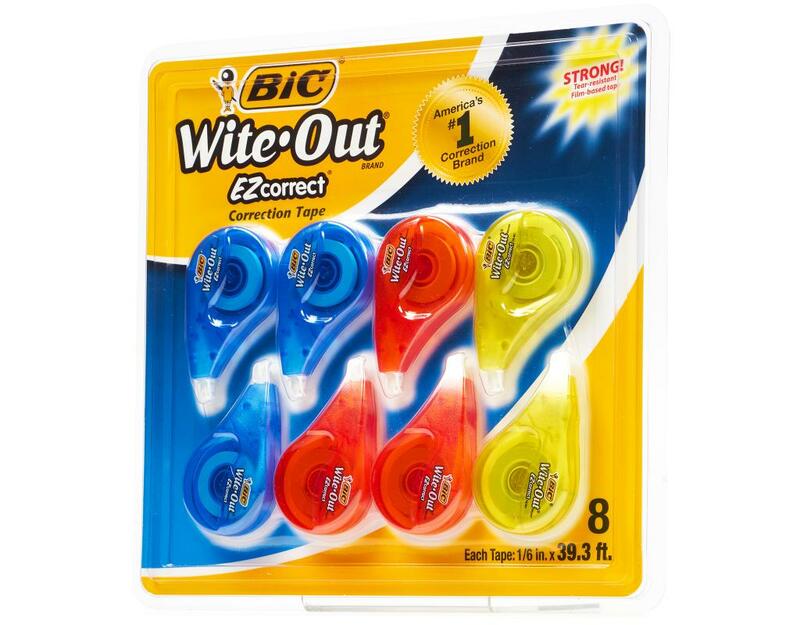 No more clumpy mini-brush applicator and crusty cap with BIC's Wite-Out EZ Correct. 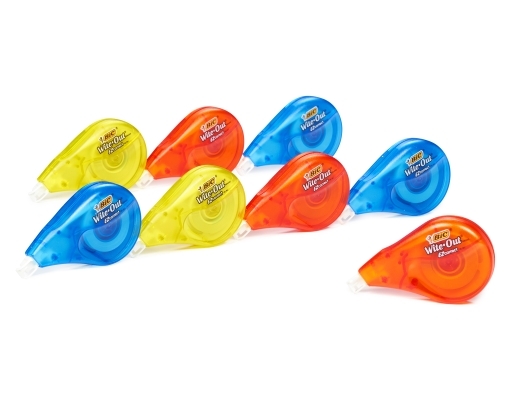 It applies dry and provides instant write over. 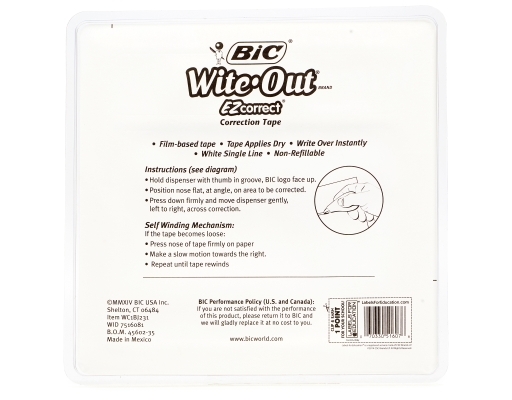 Wite-Out EZ Correct allows you to cover one line of text at a time and is fast, clean and easy to use. 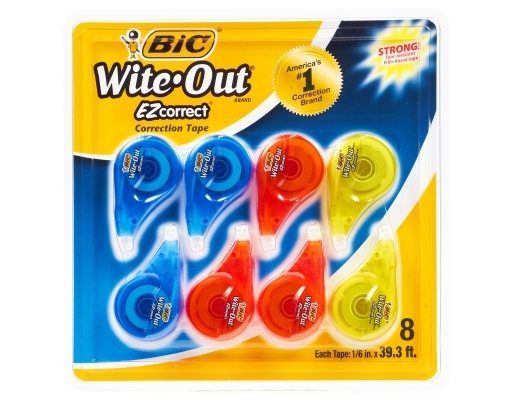 Correct mistakes without drips, smears, odor or photocopy shadow. 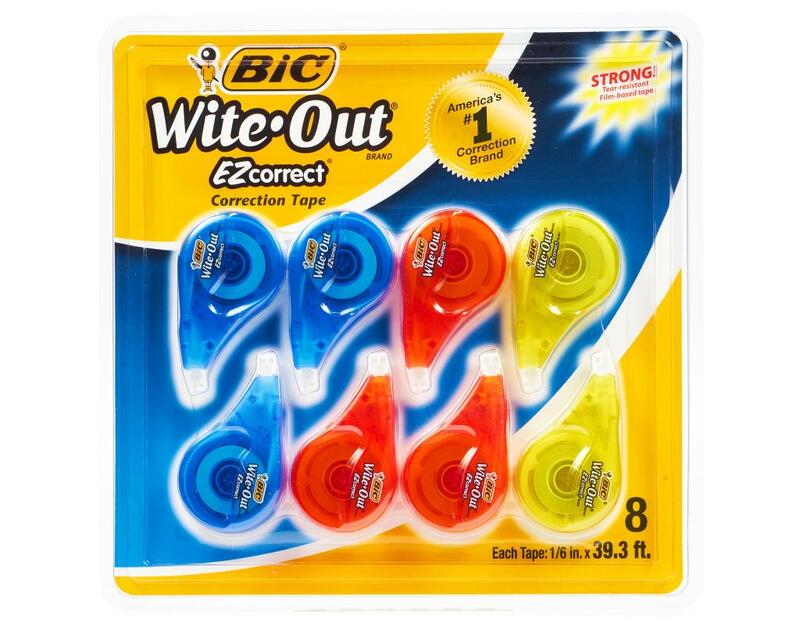 Wite-Out EZ Correct covers instantly and completely! 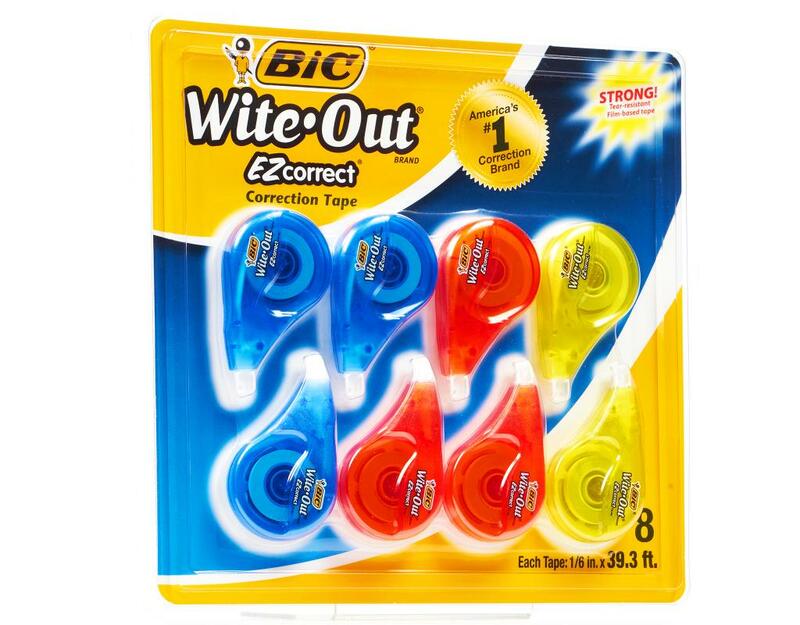 • Each tape is 1/6 in. x 39.3 ft.